More and more every day my thoughts wander from the responsibilities of my day job to the thousands of tiny lives that are ending in America’s abortion mills. I wonder at times if it’s only me who sits at his desk and sees visions of the pain and suffering that innocent children should never have to endure. I know that at some point in my life I will be working full-time to end abortion, and I pray for the courage to take the step I know I must take, sooner than later. 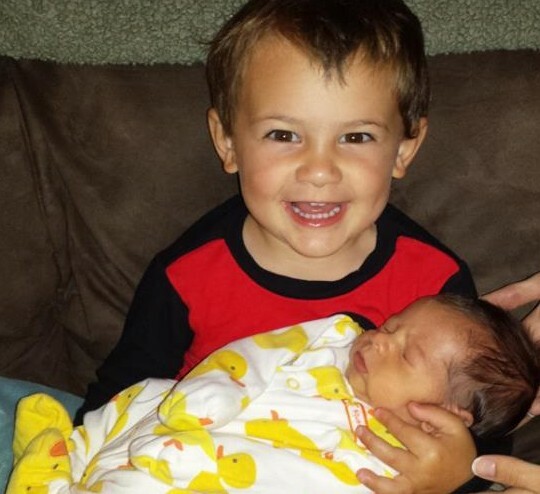 I hug my grandsons and the joy they bring to my life is tempered by the knowledge that nearly a third of their future friends will be killed in an abortion clinic. The thousands of innocent children killed every day in America couldn’t care less about a woman’s right to choose. They just want to live. Given the choice between life and death, how many do you think would choose a grisly death over life, just as their lives are beginning? Why should anyone among us, having been allowed to exercise their gift of life, feel empowered to decide which child should live and which one should die? What part of being free gives us the freedom to take an innocent life as a simple matter of convenience? These days I have more questions than answers. I see the legal killing of unborn children in the country I love and I wonder how we got to this point. I see the daily bloodbath and realize that we all share responsibility for the direction our country has taken. Those of us on the pro-life side could have worked harder to protect our nation’s children. Those of us afraid to take a stand for life could grow a spine and defend innocent lives. And those among us who profit by killing unborn children could finally understand that all the money in the world can never pay the price they will ultimately pay for the suffering and death they have wrought. As I approach my 62nd year I’ve been blessed with good health and a burning desire to save children. I can see the end of my so called career in the not too distant future and I look forward to working harder in my retirement years than I ever have during my work life. My motives are simple; saving lives and changing attitudes. I’m not afraid to look evil in the eye and to call it what it is. Abortion is the greatest human tragedy in the history of the world. I’m prepared to spend the rest of my life to bring an end to abortion and look forward to working with no expectation of compensation, because I know that the rewards of working for a just cause will be compensation enough. When my last day comes, I look forward to leaving a world behind that no longer kills its children. And when I’m asked by my Creator if I helped my fellow man, I’ll answer honestly and stand by the actions I took in defense of life.